Ever since I was a kid and used to see the news where there would be reports of rabbit infestations in the south Island I dreamt one day I would go there and hunt them for myself, my mother was born and raised in the south island where her father was a rabbiter and she would tell me stories of how he would shoot, skin and poison rabbits and as a family of seven all of the kids used to have to get out there and help aswell. 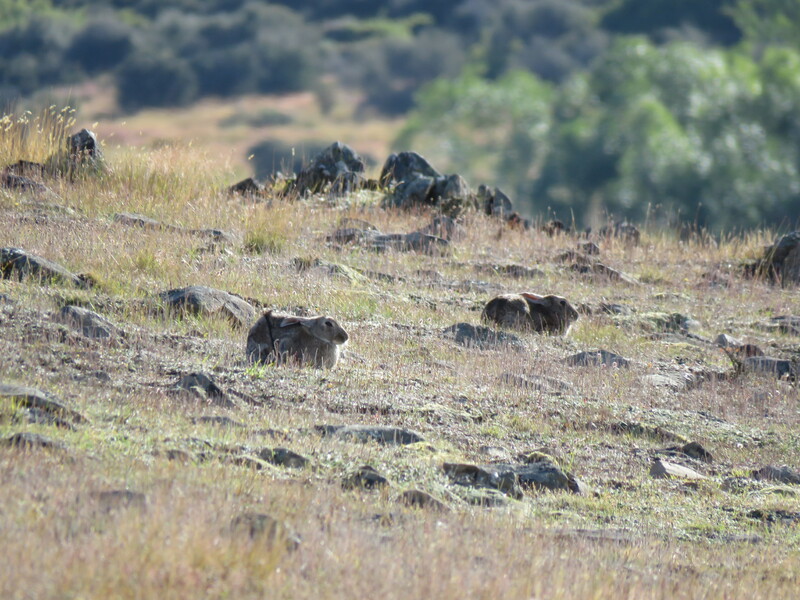 Originally the kids and I had gone to this property in search of wallabies as permission to hunt was gained through someone at work and it wasn't until we got there that we truly realized the size of the property. Anyway the farmer and good bugger at that pointed us in the right direction of where he wanted us to be and as we were truly honoured to be there we gave him a box of beer to say thanks. We started hunting just after midday which was still too hot so instead of wondering around getting sun burnt we took refuge in some shade and waited for it to cool down so the kids took a little siesta while I went for a wonder with the new CZ .17 HMR as I had itchy feet and like exploring new country. While out I got to accounted for it's first few bunnies. Needless to say I was very impressed with the rifle... just need to get a bigger magazine! We saw the occasional wallaby in the scrub and shot this one but never found him as he jumped into the matagouri which I wasn't too keen on going in looking for him. Once it cooled down a bit, it was time to go chase some critters. 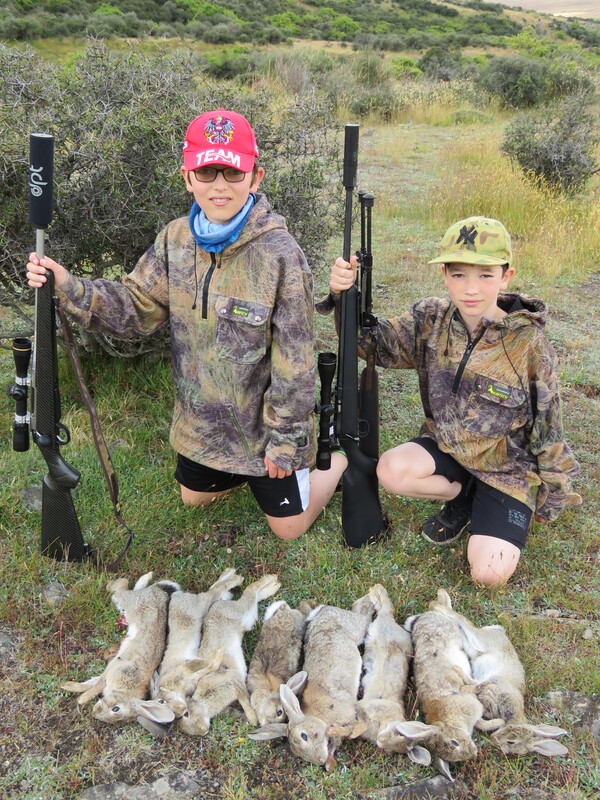 The boys had a little session on the HMR with Liam shooting his first rabbit and quickly following it up with a second. 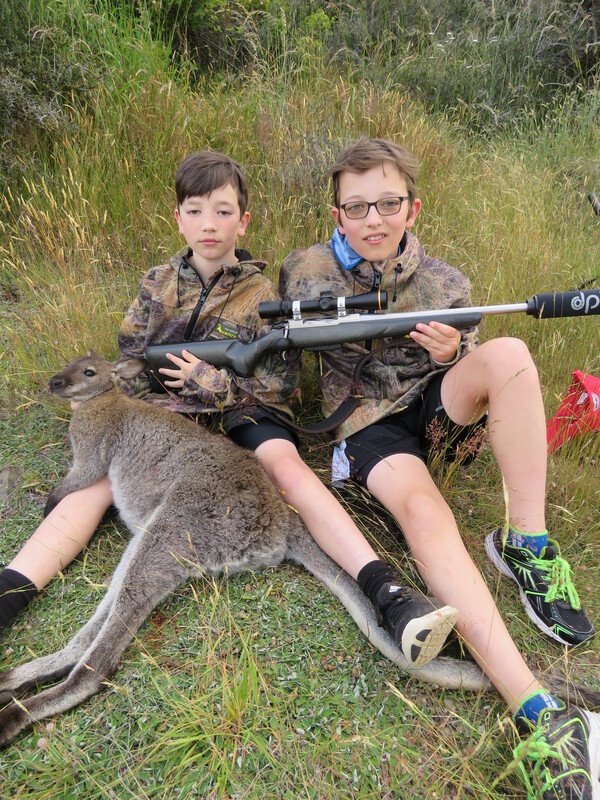 As we wondered along we came across a lone wallaby sitting near some scrub which didn't allow me to set the rifle up for the boys so I just shot it. Moving on we came across another wallaby which Liam got to shoot which turned out to be a big buck and a heavy one at that! By the time we got back to the car we shot 45 rabbits and 4 wallabies. The next afternoon we returned and while we waited for the sun to cool off a bit I went for a walk along a ridge which allowed us to overlook onto a flat area, I'd only gone 200 mtrs and shot two bunnies and realized I needs the boys out here with me as I was just starting to see more and more rabbits so I went and returned with the boys. 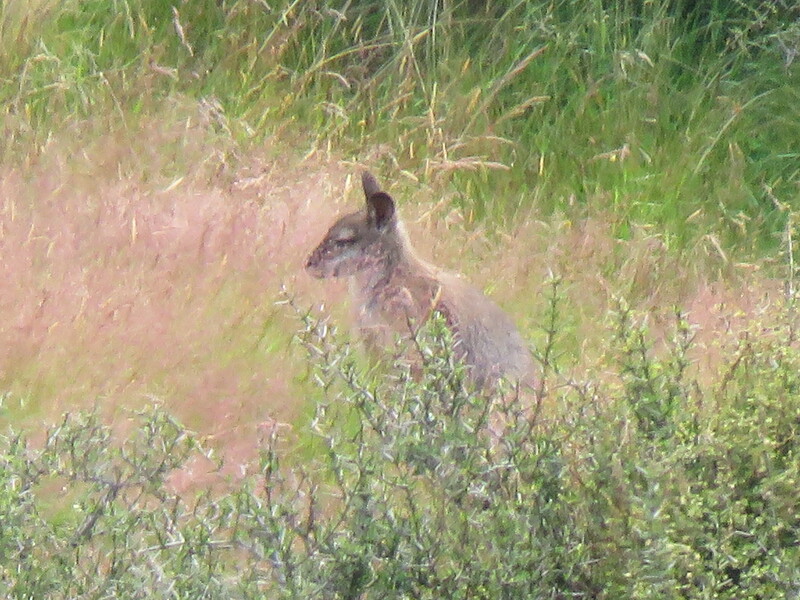 As it was still hot we found rabbits taking shelter from the heat under trees and bushes. Two rabbits about to have a very bad day as Liam lined the first one up with the .223 and as he fired... he got the second one behind it. 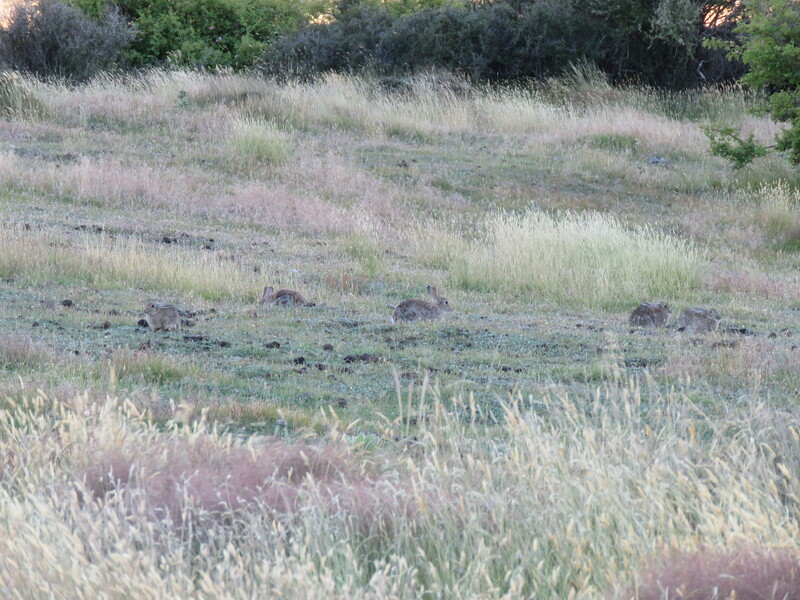 As we went forward there were two more rabbits in background one behind the other where I leaned the rifle on a matagouri bush, fired at the first one and got both. I have to admit Liam's kills were better as they were both head shots! 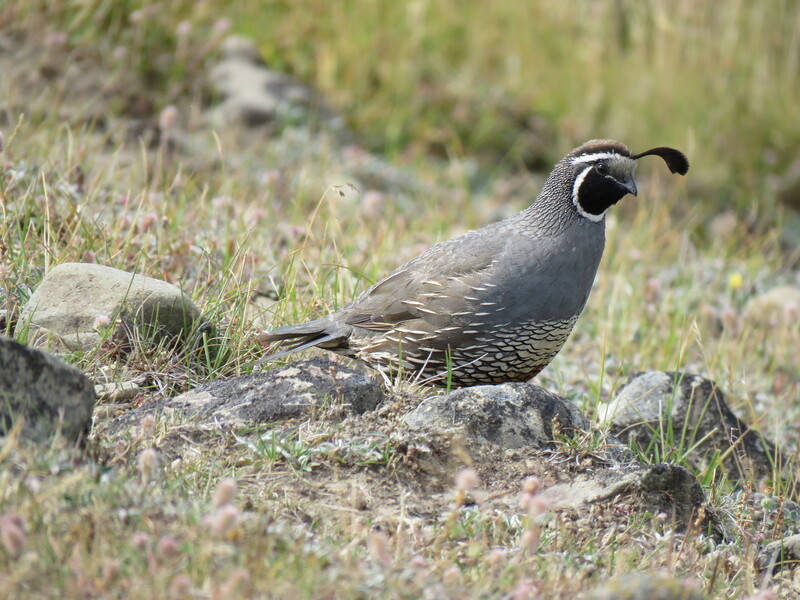 We came across a couple of California Quail, stunning birds. 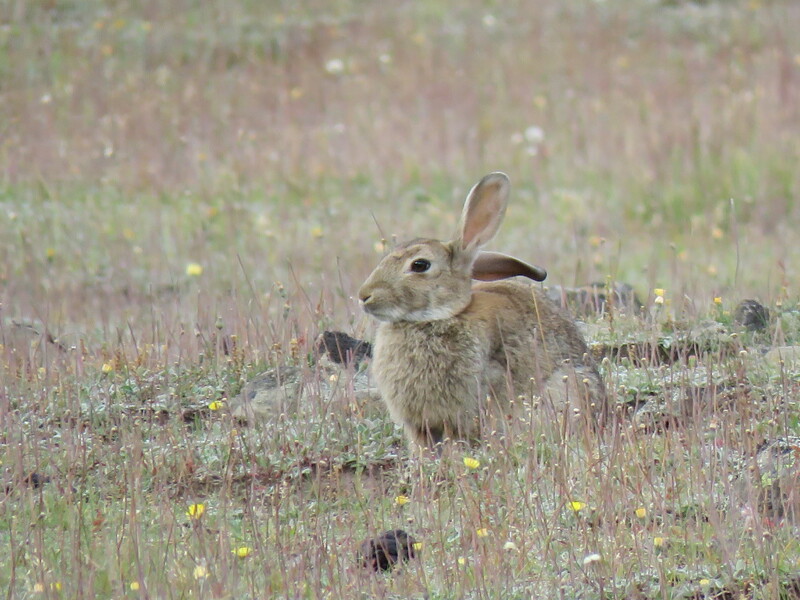 So we ambled off shooting bunnies as we went and there was by far no shortage of rabbits! The boys even had some fun sneaking in on the odd one or two. 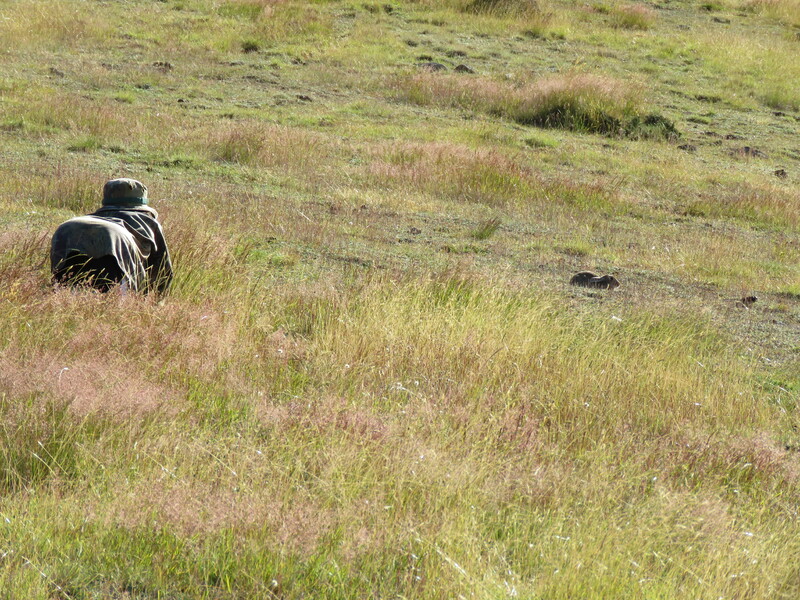 We had ALOT of fun shooting bunnies, we aptly named little areas that we shot over names such as "Bloody Ridge", "Rabbit Alley" and with one final .223 round remaining it was Liam who had the honour of shooting the last bunny where he passed over a few until get that right angle on one at 100 mtrs away... I gave him some good words of wisdom with the final shot such as "Don't screw this up!" and sure enough the bunny dropped dead at the shot... no pressure! In total we had shot 52 rabbits and we still had plenty of daylight left. We had such a GREAT time walking over the stunning landscape that's there enjoying the views. The kids learnt a lot more on shot placement and have an even healthier respect for what different projectiles can do. dogmatix, Norway, jakewire and 27 others like this. Great story! Love the pictures too - SLR or phone? I took my partner's son out to shoot for the first time over the Xmas holidays. He smoked a few hares with the nasty little V-Max bullets out of a Creedmoor. It's very rewarding watching them pull off their first successful shots on game! Good stuff Seventenths, great way to spend the day with the Kids. Awesome write up and those pictures are super cool, next time you may need a ton more ammo. Great way to get the kids into the outdoors. @Seventenths i really enjoy your write ups and pictures. Thanks for joining this pub and sharing your hunts with us. Awesome trip mate, always good fun! Great family time,well done with yr shooting boys. Have you moved south? I always enjoyed your Sika stories, looking forward to some South Island hunt stories now.